Hello there! 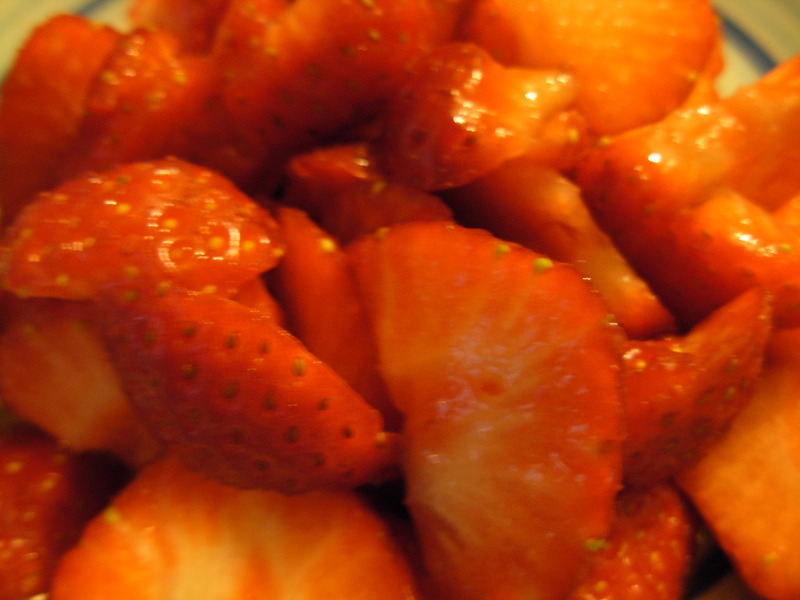 My last post included a recipe for strawberry coulis and I promised you some yummy desserts to use it in to add that extra hit of intense strawberry flavour. This first one is a strawberry meringue nest. 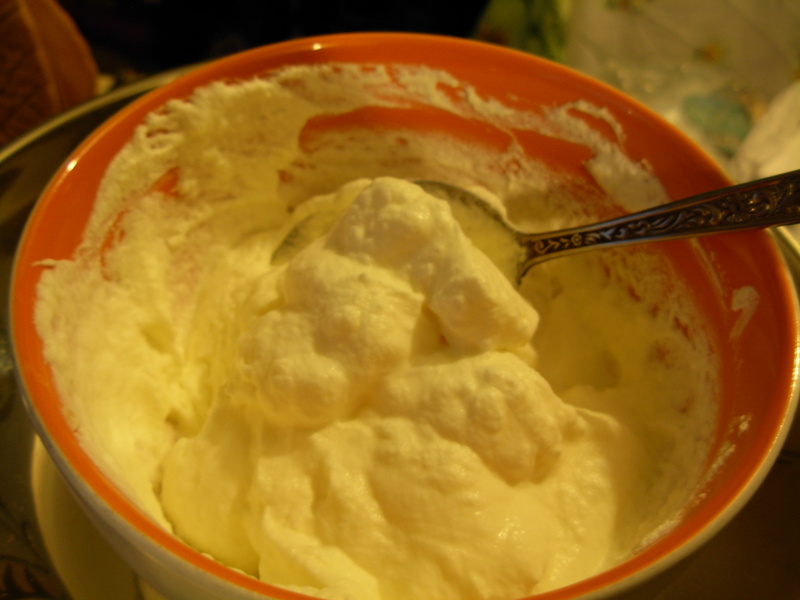 It is super-easy to make and very quick if you already have the meringue made. 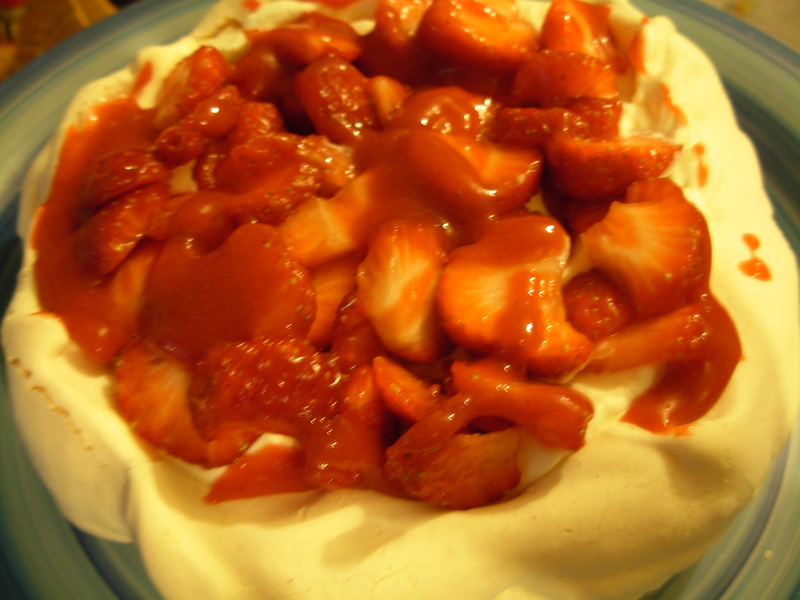 I always use my pavlova recipe to make my meringues – you can find it here. 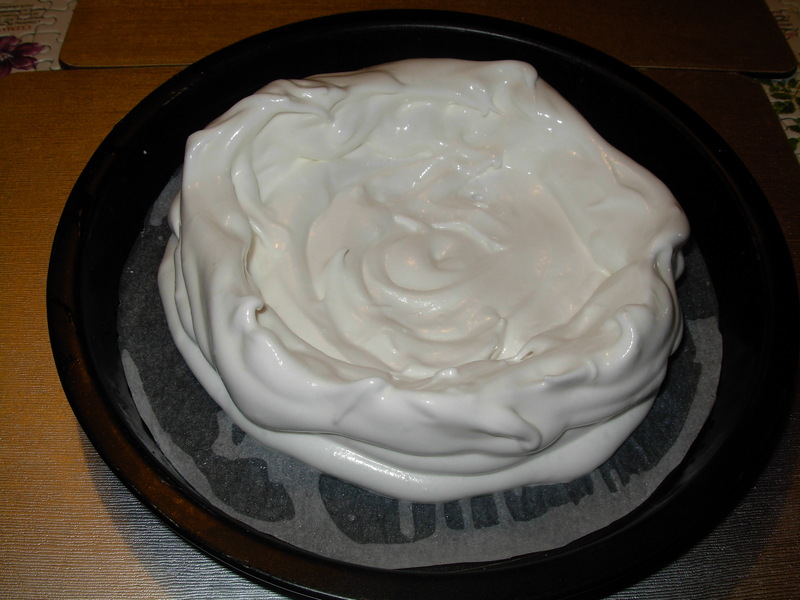 The only difference is you need to build up the sides a bit to create a bowl shape for the nest, which I do by piping thick swirls of pavlova mix in layers at the edge. 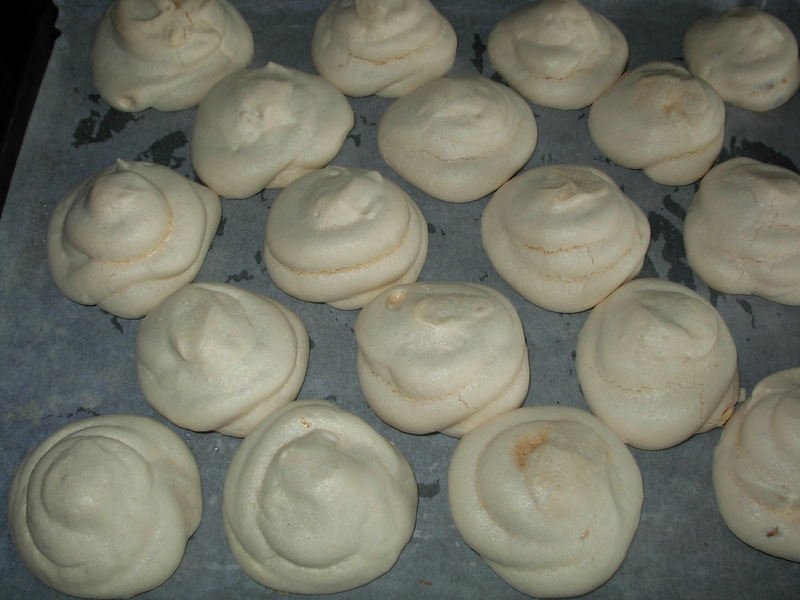 Pavlovas should be soft and marshmallowy inside, whereas meringues need to be crisp. To achieve this, you simply cook them for a bit longer. I tend to double my mix any time I make a pavlova, so that I can also make a tray of meringues and one or two meringue nests. 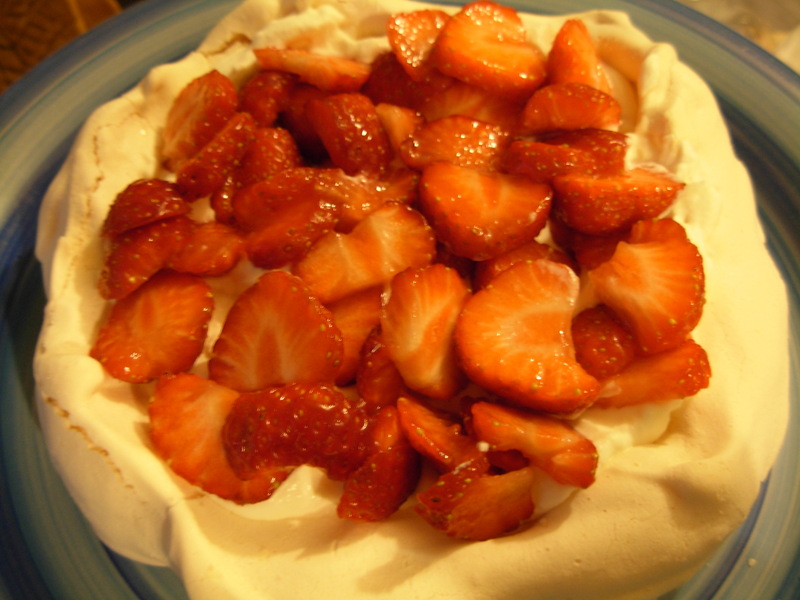 When the pavlova is cooked, I’ll take it out of the oven but leave the meringues in for another half hour before turning the oven off and leaving them in there to cool. 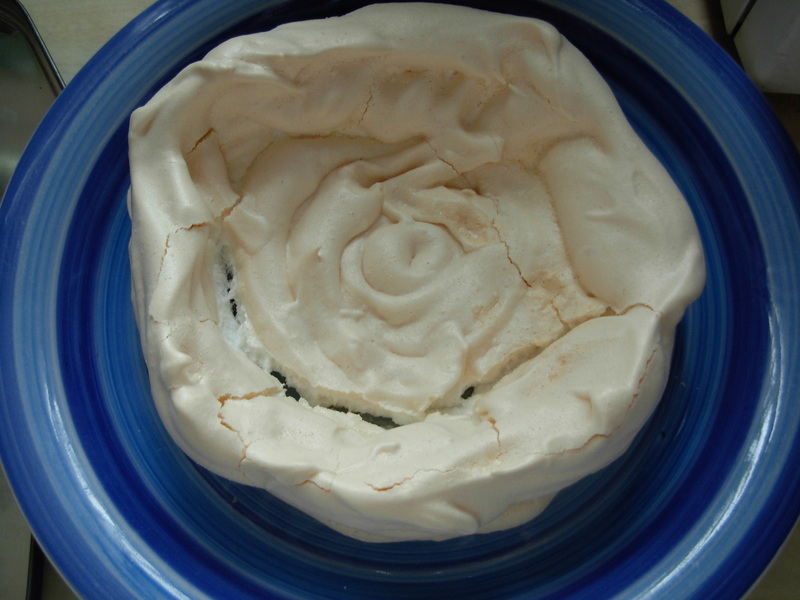 Apparently meringues should keep for up to two weeks in an airtight container but to be perfectly honest, I have sometimes used mine as long as a few months later and they have always been fine. Don’t worry too much if they crack as you’ll soon be covering them up with cream and other goodies. 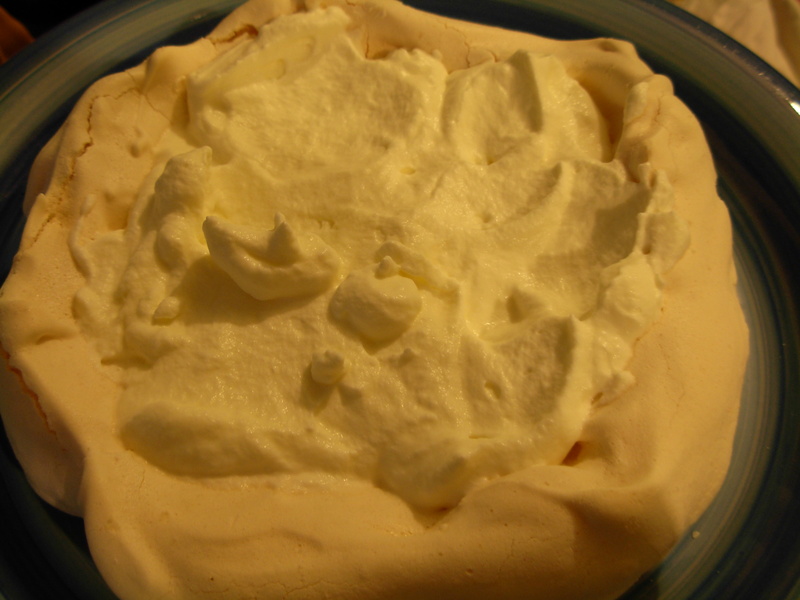 It is best to add the cream & decorations as close to serving time as possible, so the meringue stays nice and crispy. I tend to prep everything in advance and then layer it up just before serving. Please excuse the rubbish lighting in these pics! 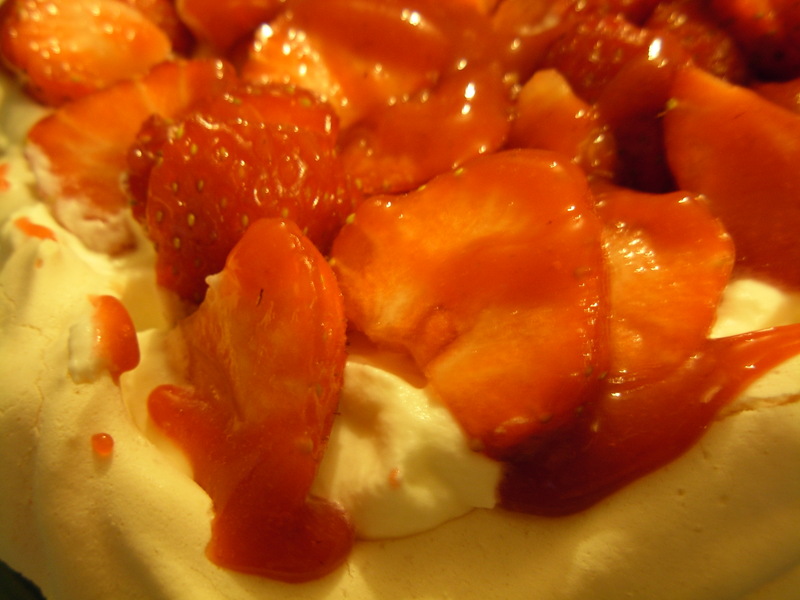 Serve up a slice to each hungry bystander and listen to the sound of crisp meringues being munched and lots of appreciative murmurs of contented happiness!